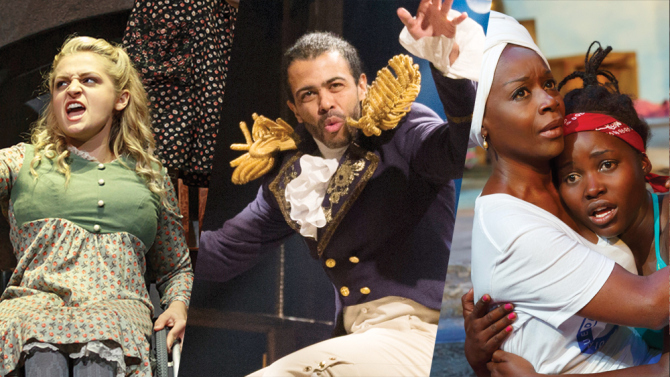 El Blog de HOLA: When Will Broadway’s Onstage Diversity Carry Over Behind the Curtain? "In the past, momentum on diversity and gender equality was often slowed by the debate over quality vs. quota. 'I think that’s always been a false argument,' says Oskar Eustis, artistic director at Off-Broadway’s longtime proponent of diversity, the Public Theater. 'If we can’t get a diverse group of people on our stages, it’s us failing the quality test. We are being bad, phony theater. You can’t tell the truth about this world if you’ve got stages full of white people.'" Read the Gordon Cox article in Variety regarding the current state of diversity on Broadway– both onstage (plentiful) and behind the curtain (scant)– by clicking here.